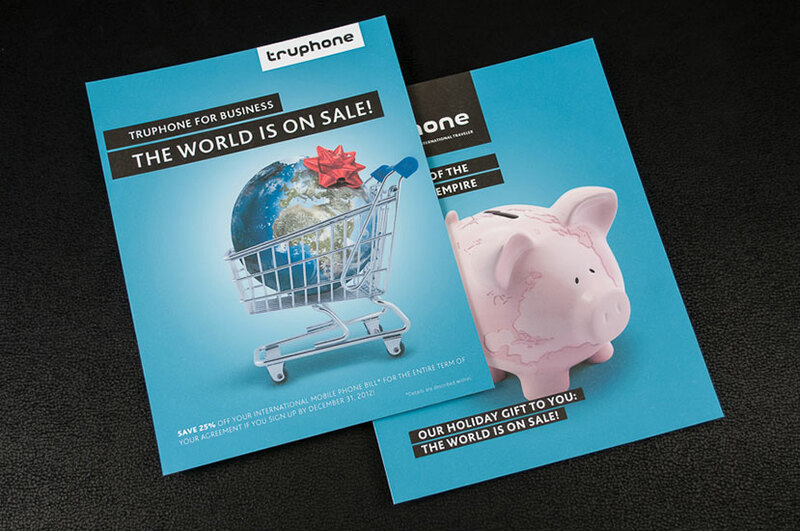 For these TruPhone Print ads, Generate Design used Adobe Photoshop to create the globe in the shopping cart and the map on the piggy bank. The promotional idea for TruPhone is that the company can connect a users’ business with the world for an affordable price. TruPhone is a global mobile network that gives business the ability to call internationally without incurring roaming charges. The quirky symbolism reflects that same idea; that TruPhone is giving the gift of global connectivity for businesses at a good price that other mobile network providers can’t. Bold typography paired with these images make the ads pop and make the brand competitive within the global mobile network industry.